Airway management is a critical component of every first responder’s job. From clearing the airway of secretions to managing complex aspiration cases and assessing causes of respiratory distress, the right equipment is key. Airway management equipment falls into five broad categories, with several different equipment options within each category. The five types include facemask ventilation devices, which may use additional attachments; supraglottic airway devices; tracheal intubation; suction machines for airway clearance; and transtracheal access. Here’s what you should know about each. Face mask ventilation is a vital skill for all medical providers. This intervention may be appropriate when a person shows signs of hypoxic respiratory failure, apnea, an inability to protect the airway, or an altered mental state caused by exertion or hypoxia. Proper position of the head, neck, and jaw is critical for ensuring proper oxygen delivery. This approach to ventilation is versatile and uses a wide variety of equipment, including bag-based masks. A proper seal is key to the functioning of this equipment. Supraglottic airway devices target the upper airway. These devices open the upper airway to allow for unobstructed ventilation. They may also replace some other airway management devices. 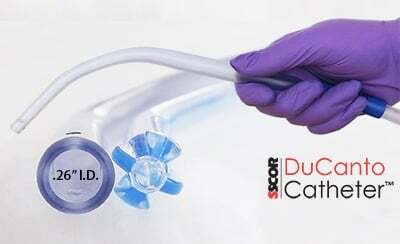 According to research published in 2014, supraglottic airway devices successfully provide rescue ventilation in more than 90 percent of patients for whom tracheal intubation and mask ventilation are impossible. 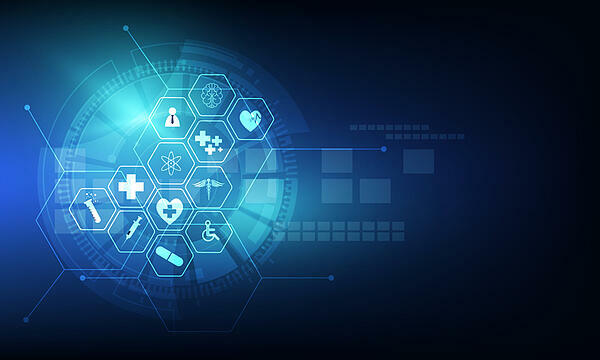 Though effective, these devices may also increase the risk of airway damage and pulmonary aspiration. These risks may increase in severely obese patients. Tracheal intubation uses a wide range of devices to insert a tube into the airway through the throat. 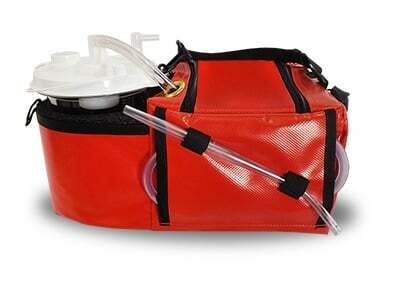 The tube often provides life-saving ventilation, but can also be used to clear the airway or even to deliver medication, particularly in a hospital setting. The wrong technique can injure the airway or increase the risk of aspiration, so the right equipment and a clear understanding of airway anatomy are both of critical importance. It’s possible to intubate a patient with a wide range of devices. 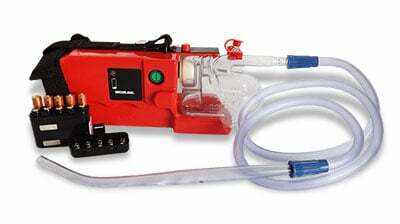 Intubation typically also requires the use of airway clearance devices such as portable or wall-mounted suction machines. Transtracheal equipment accesses the trachea directly, usually via an incision in the neck. 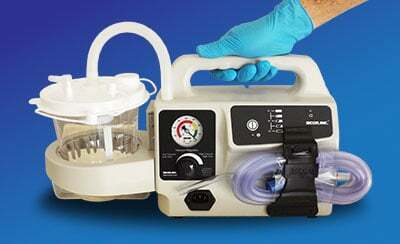 Tracheostomy is commonly used in patients with advanced chronic obstructive pulmonary disease (COPD). Emergency transtracheal access may also be necessary when conventional intubation fails. In emergency situations, a cricothyroidotomy involves an emergency incision providing airway access. For example, when traditional ventilation fails or is contraindicated, transtracheal access may be the only option for a hypoxic patient. 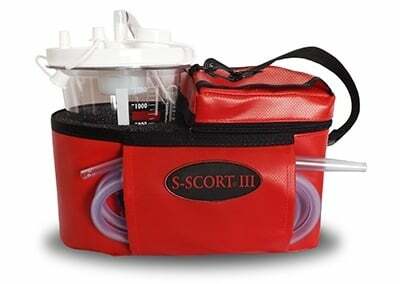 A variety of options can suction the airway, clearing obstructions and secretions. 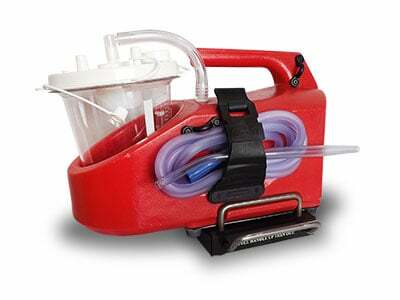 Manual suction devices are simple handheld devices that use a pump to suction the airway. 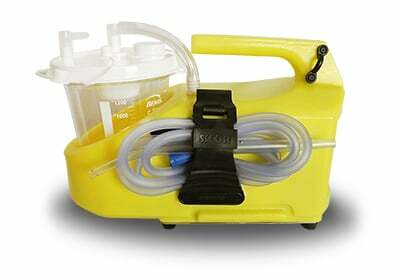 Suction machines offer a more advanced, stable, and reliable option. 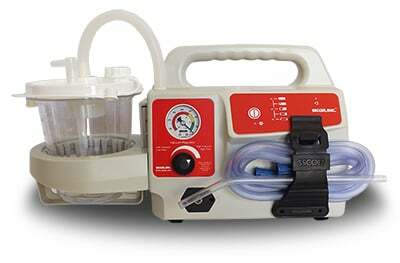 The right portable emergency suction machine clears the way for other airway management equipment, prevents and treats life-threatening emergencies, and improves patient outcomes. For help choosing the right device for your agency, download our free guide, The Ultimate Guide to Purchasing a Portable Emergency Suction Device.